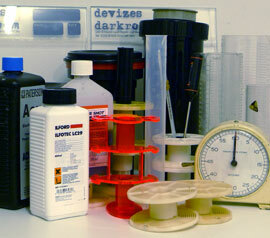 We hand process 35mm, 120 and 5x4 sheet film. We will select the most appropriate developer solution depending on the film type and speed alteration requirements you may have. We return your film uncut, or cut into strips, in paper filing sheets or neg bags as appropriate. individually or in small batches".
" Affordable hand processing and contact sheets like in the good old days.- clients will be impressed"